To succeed in a competitive business marketplace, an attractive and informational website is vital. The most important part of creating a website is the web design that controls the overall layout and arrangement within your website. All your relevant information, along with eye-catching logos, banners and graphic designs are used in the website, and play a vital role among your site’s viewers. The purpose of a successful website, beyond advertisement and publicity, are direct sales, customer support, business-to-business sales and education or knowledge. 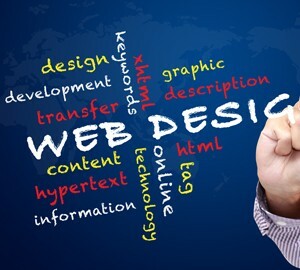 A good web design allows website visitors to find what they are looking for quickly and easily. The art of great web design and branding is to increase the number of leads from your site via a well thought out content, design and branding strategy. A professional with experience, creativity and skill knows what it takes to achieve great results throughout the website design process. Digital Arm is in the forefront of this field. Our company provides you with the best possible services in web design. Branding is also very important for your business and we make sure you business has a strong brand identity online. Logo design is a part of this branding and we guarantee your satisfaction in this regard. Creating a strong brand identity flourishes your business in the market which is something we focus on. Looking for web design company in Adelaide? If you’re looking for a company with proven experience in web design and branding in Adelaide, contact Digital Arm today!